Restaurant is one of the City's oldest. Drew Brees and the Saints will find sanctuary at one San Francisco establishment. One of San Francisco's oldest restaurants is hosting a rally Friday for the 49ers' rival in Saturday's NFL playoff game. The Fior d'Italia, located at 2237 Mason St., is inviting New Orleans Saints fans for a rally at noon today, tempting them with specials on meals, a Sazerac, a mixed drink popular in New Orleans, or one or the restaurant's signature Tiramisu Martinis. The 49ers will play the Saints in Candlestick Park on Saturday in the 49ers' first playoff appearance in nearly 10 years. The restaurant is opening its doors to Saints fans, hoping to show them a good time and "a little San Francisco hospitality," said Fior d'Italia owner Bob Larive. "One thing that happens is people come to town and they're kind of at a loss where to go. They always feel more comfortable if they gather somewhere with some of their peers," Larive said. The Fior d'Italia is not necessarily the place where visiting teams would expect to find sanctuary. The restaurant is a San Francisco institution -- having opened in 1886, it is the oldest Italian restaurant in the country and the third-oldest restaurant in San Francisco. Larive said that while the staff at his restaurant is largely 49ers fans, and there will definitely be 49ers fans in attendance at the rally, the restaurant is trying to show that even rival teams' fans are welcome in San Francisco. The restaurant has hosted similar gatherings for the Green Bay Packers and the Pittsburgh Steelers in the past. "We've done it with other teams, it ends up being a lot of fun," Larive said. He said he couldn't be sure how many fans will turn out at today's rally, but hopes that there will be a good turnout. "Sometimes we get big crowds, sometimes we don't. 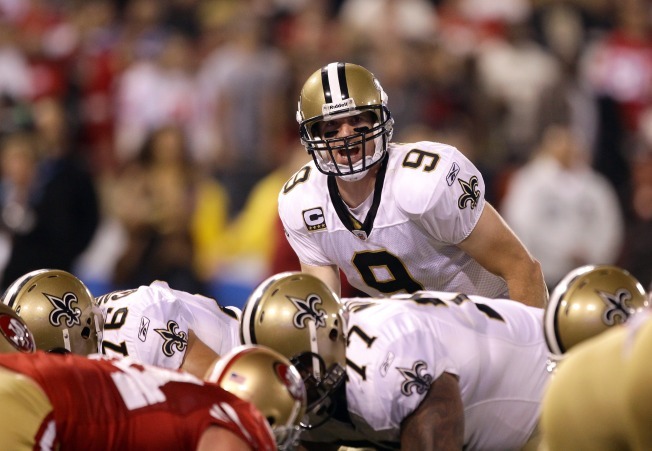 I'll be out all day trying to find Saints fans and bring them in," Larive said. And after Saturday's game in San Francisco, the restaurant will be hosting a post-game gathering as well, regardless of the outcome. Larive said he will be joining with the rest of San Francisco in rooting for the 49ers despite hosting the Saints fans. "Hopefully we make them very happy before the 49ers beat them," he said.